You’ve heard of the Wizard of Oz yes? Well now play the slot! In the Book of Oz, you are taken to the mystical land of Oz, one that’s streets run with yellow pavements and endless amounts of emerald colours! 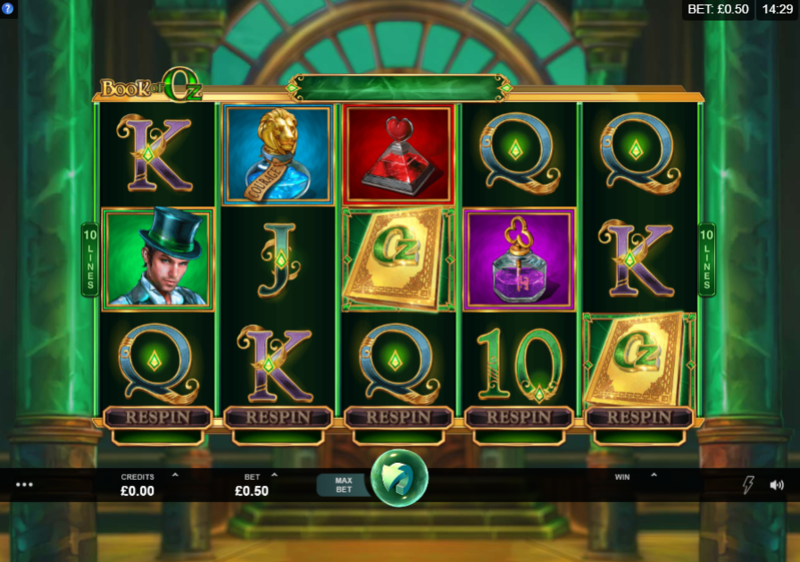 This slot comes to you from developer Microgaming and is a 5 reel by 10 pay-line sort of game, which should give you an idea as to what you can expect. This is a very simple slot to master, simply because of how everything is arranged in front of you. Think of this slot as a fantasy-like experience, one that constantly rewards you with cash through smart decisions made on the reels. Be sure to check out the rest of our easyslots.com below for more information! Respins: This feature is one that allows you to right the wrongs of a failed spin by giving you another chance at victory. Respins are your quickest way of earning some cash for free essentially since you’ll have already set money down. 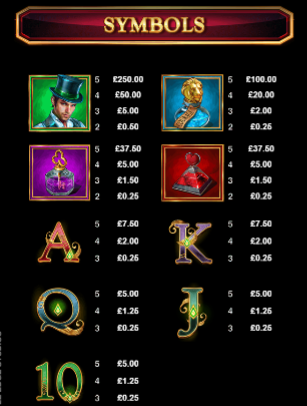 Free Spins: Free spins come your way whenever you are able to match together scatter symbols in turn. Scatters are the book symbols that you’ll find across the reels during the run of play. Up to 25 free spins are available, and when entered will give you access to multipliers that will only raise your scores as a result. Book of Oz might be one of the greatest slots to come from Microgaming, call us biased but we just can’t help but love a slot that is based on the Wizard of Oz, there’s just something so thrilling about it all! You don’ need to ask for courage when it comes to this one as you will simply be wanting to play regardless, worry free too as you accumulate some of the highest scores possible from only a handful of spins. Check out easyslots.com for more games like Book of Oz!